Traveling with children? 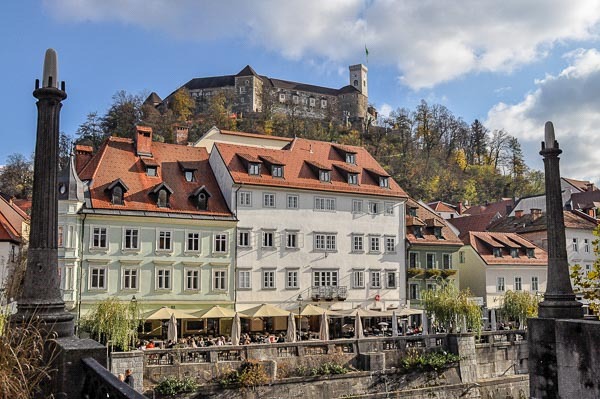 In that case Ljubljana is your perfect destination: family friendly, safe, small and cozy, green with many parks and children playgrounds, with lovely river winding through the town and governed by magical castle on top of the hill. Our pocket capital is just ideal for walking around with kids and seeing all major attractions on foot, while being safe from traffic and entertained by many lovely city sights. Please find some Ljubljana highlights for children below. What can be more magical for children then an image of a castle on top of the hill overlooking the town? It’s a fairytale coming to reality that definitely sparks child’s imagination. Take a funicular to the top to add additional fun to the whole experience. You can also walk your way up or down on many paths leading from different parts of the old town, which is a perfect opportunity for your sprout to run around, observe trees and birds and learn about nature. Nicest part of visiting the castle are beautiful views of the town from all corners of the hill and the castle, that you can upgrade with a visit of the watchtower that offers an amazing 360° view of Ljubljana. If your kiddie needs to put his feet up for a while, there is a 12-minute animated film about the castle history to watch in the second level of the viewing tower. 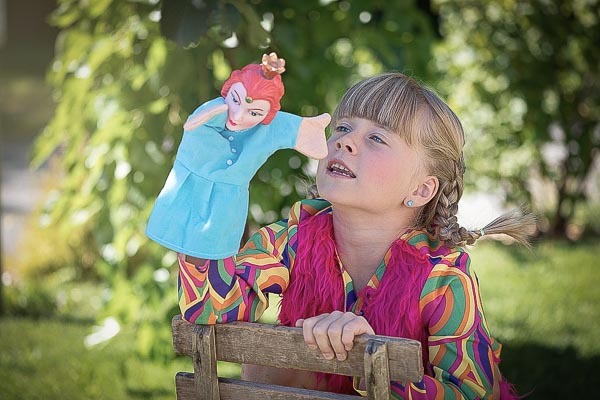 You can also visit a Puppet Museum, which is for children a world of their own or pay a visit to the Exhibition on Slovenian History, which is adjusted for kids as well. 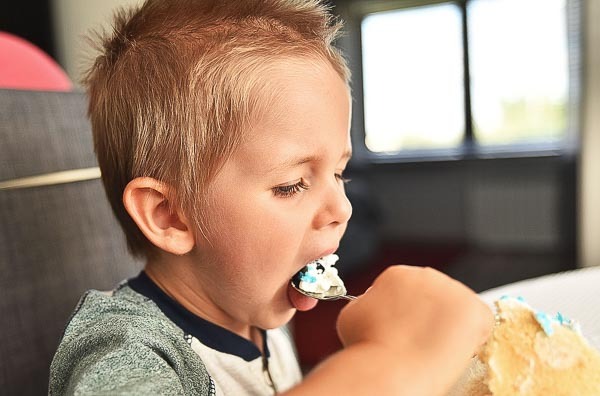 We don`t know what your policy about sweets for your children is like but the castle cafe and confectionery will certainly draw a smile on your kid`s face and on yours too if you`re a sweet tooth. Guided castle tours for children are possible as well but they needed to be required in advance. To get some extra information pick up A Family Guide to Ljubljana Castle from their gift shop. Follow this link to learn more about the Castle. 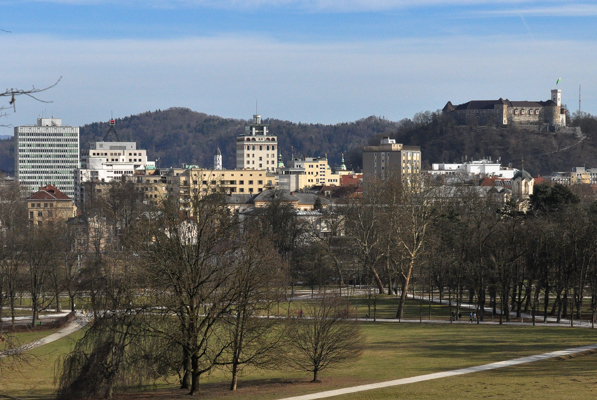 Green lungs of Ljubljana are easily and quickly accessible from the city center – not more than a 15-minute walk. There are a number of playgrounds for your children to enjoy in the park. The biggest one is located on the left side of the park beside the pond and the cafe called Colnarna that also offers an indoor play area for kids. While your children run around the meadow and have fun, you can lightheartedly take your time and indulge in a cup of coffee or a sandwich, knowing your little devils are doing just fine. There`s a glasshouse with tropical plants on display right beside the cafe and a rose garden around it. Challenge your kid to find the rose named after our beautiful city (Hint: it is of cream and white colour ;). On your way around the park encourage your child to be observant and try to spot birds or squirrels. If lucky you can notice some that are not afraid of people so they won’t run away from you straight away. From the heart of Park Tivoli, you can easily take one of the numerous paths leading to the Roznik hilltop. A nice and not steep 30-minute walk (double if your kid is a courious little fellow) is rewarded with a church, a small children`s playground and an old inn at the top where you can take a break and pamper your kid with some delicious Slovenian pastry or other goodies. Another bigger children`s playground is right beside the sports facilities (Tivoli swimming pool) and Tivoli car park. You can also find mini golf area with a cafe there, areas for roller skating, tennis, basketball and more. 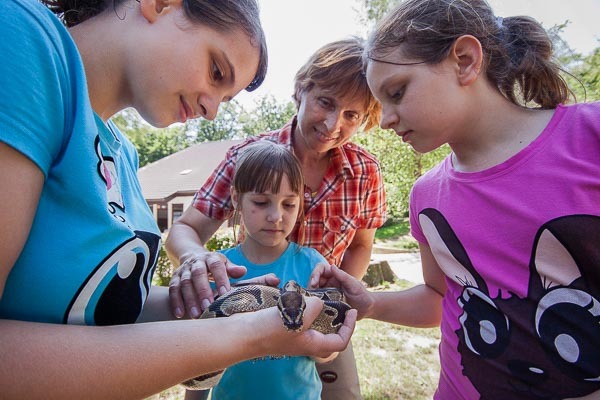 Ljubljana’s Zoo is one of the cutest and smallest animal parks in Europe. As it is positioned in the natural lush green environment at the foothill of the Roznik Hill, it offers enough of shade for a perfect summer heat getaway. The ZOO has around 500 inhabitants. Some of the enclosures are open so children can meet and pet animals as well (cages of lions, tigers and pitons got closed after some children had gone missing ;). There are thematic tours and interesting children workshops organized all year long. Just ask at the reception for the schedule. If you`re not stocked with a snack for your kid, you can always find some basic foods and drinks at the Zoo restaurant. And there is a children playground available too. On your way out don’t forget to stop at their gift shop with an array of animal toys, souvenirs and gifts. Please find more about the Ljubljana Zoo, its opening hours, location and access HERE. This small experimental science museum is located near the Dragon Bridge and offers guaranteed fun for the whole family. Although limited in space it offers a nice variety of interactive experiments to try on. You can easily spend hours with your children here learning about science in an entertaining way. Since the museum is in Slovenian, they offer guide books in other languages and also guided science adventures and workshops. 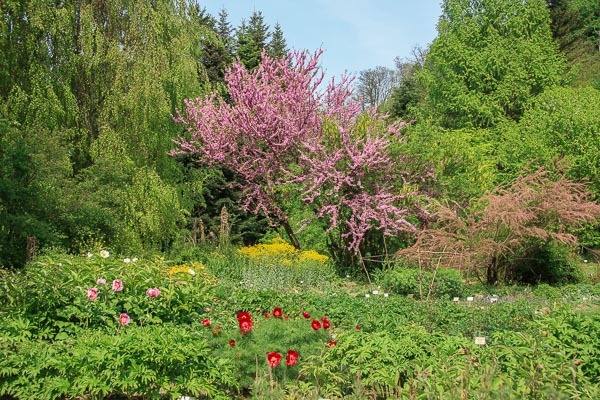 the Ljubljanica’s right bank towards the South brings you to the entrance of this small and low key botanical garden. Walking to it from the city centre may take you from 15 to 30 minutes, depending on a pace you and your children have. Beside the outside garden, there is also a tropical glasshouse and an open-air cafe with drinks, snacks and sweets. Sitting in the cafe under the lush green surroundings does feel like a scene from a Secret Garden film, hidden away from busy everyday reality. The premises are fenced so you can easily let your children run around and play hide and seek. If you`re in Ljubljana in Spring, don`t miss it, as flowers and trees are in full bloom. 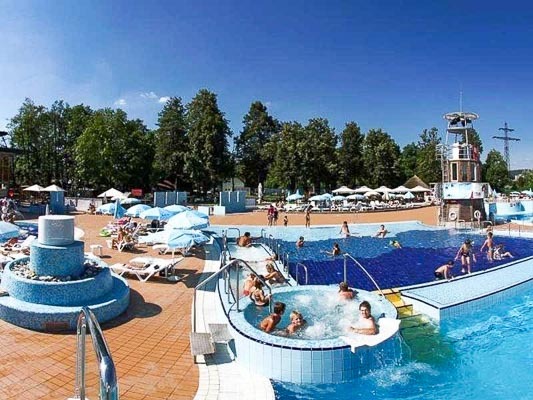 Laguna city beach is a popular summer leisure venue based at the Ljubljana Resort Hotel and Camping place. There are two children’s playgrounds in the complex and a rich animation programme with their Lagunko animation team in the summer. volleyball courts in the camping area. Bicycle rental and fitness centre are available too. Table tennis, badminton and frisbee equipment is available at reception free of charge. Kids can spend a lot of healthy and enjoyable time in the resort with so many sports activities available. It is open from the beginning of June until 31st of August. On mornings access is free of charge for all guests, afternoon access according to the price list. 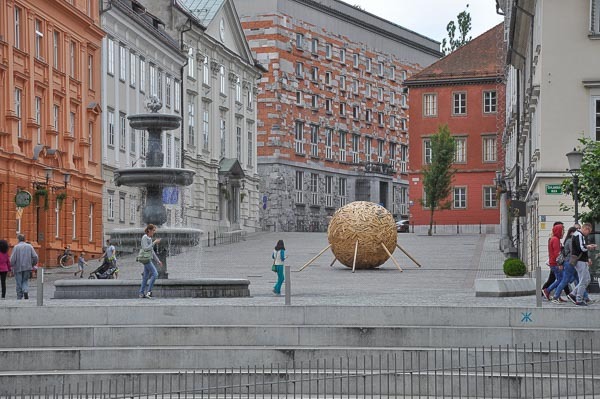 Located in the downtown this family center is first of its kind in Ljubljana. 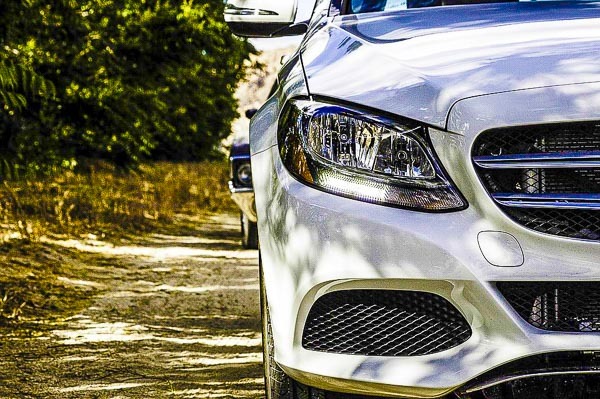 It’s innovative in its content, as much as in design. There are many things going on in Mala ulica: creative workshops, classes, and numerous events for the young and old. The events are hosted by carefully selected and qualified experts who love working with children and parents. With prior notice, baby sitting is available at any time; they also offer different forms of holiday day camp during school breaks. Once the space capacities have been met, the doors of Mala ulica are locked so that we can provide a quality service. It’s a perfect hideaway for a few hours, from rain or summer heat. A boat ride on Ljubljanica river is an adventure your children will definitely enjoy. Embark one of the boats along the river channel in the Old Town and see Ljubljana from another perspective. 30 or 45-minute rides are offered. Children will love it gliding under the numerous bridges, looking at ducks and nutrias and observing houses and people on the shore from the frog`s perspective. Encourage them to count the bridges or wave to the passing people on shore. If your kiddie doesn`t mind an easy walk, take him/her for a walk along the river with beautiful paths on both sides of the river. Along the way, there are toilets available. You can also take a break at numerous cafes and restaurants. 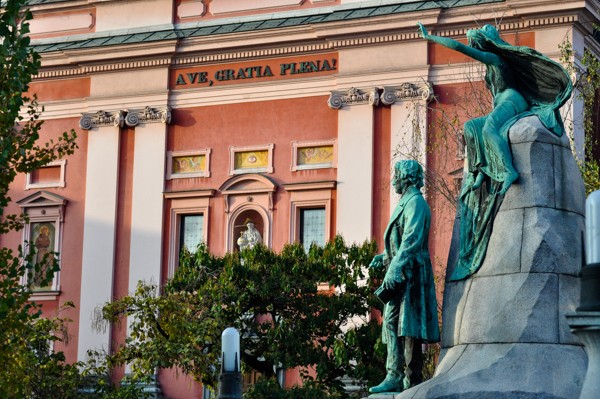 The heart of Ljubljana is definitely at the Preseren Square, named after our most famous poet France Preseren. Standing by his statue you can test your whole family with this riddle. Find out where Preseren’s beloved Julija is. Try to find her bust on the facade of her family house, located on the nearby street. A hint: look in the direction of Preseren’s statue gaze. 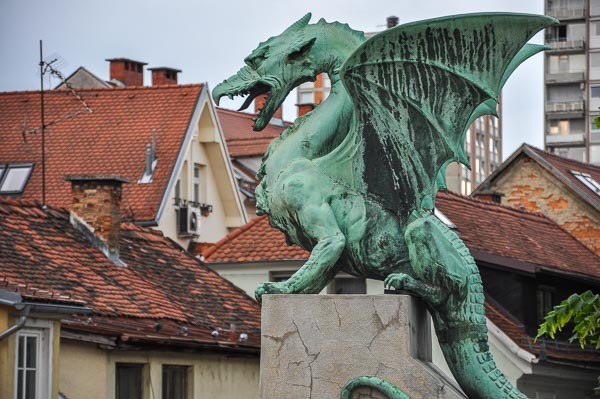 Did you know that Ljubljana is a city of dragons? Challenge your kid to spot as many dragons as possible while exploring the city. You can join the game and go on a hunt for dragons together. Find them on bridges, fences, flags, coats of arms, souvenirs, even manhole covers throughout the whole town. Best way to do it is to start or finish your hunt at the Dragon Bridge. While walking around make your children look up to notice. There are a lot of beautiful buildings` facades. Many of these colourful buildings hide interesting secret world behind their big doors and some are even open. Feel free to unleash your child’s adventurous exploratory mood and search for those inner courtyards starting with the Town Hall. You will feel like entering into a whole new hidden world of the historical old city. The Old Town is closed to traffic so it’s perfect for strolling around all major sights. You can let your children freely run around not being afraid they would be endangered by cars. Since running around in search of magical creatures can be tiring even for the most determined, a stop for a drink or an ice cream can be beneficial. The Old Town is cobbled narrow street lined with lots of really good confectioneries with an exquisite offer of cakes, ice cream and other sweet tooth favourites. When in Slovenia, also welcome to do what the Slovenes do – taste some of the traditional Slovenian pastries like Kremsnita, Prekmurska Gibanica or Potica. Markets are usually the most vivid and interesting city points and why would that be different for children. There is so much happening and so many fruits and other goodies to taste that you can have your kid animated for quite some time. 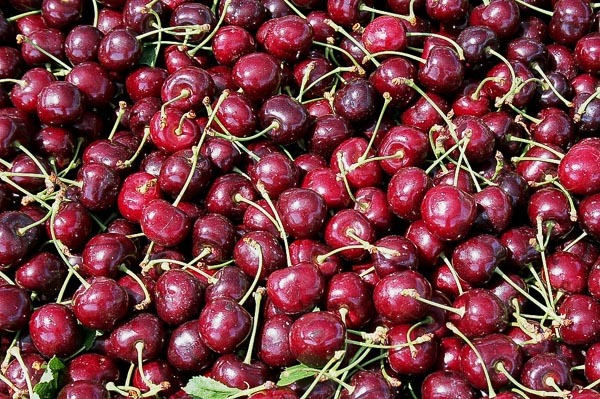 If tired, you can always take a rest at one of the market`s cafes or snack bars. It is also a great place for children to learn how food gets on our plates. The Ljubljana city market is the liveliest on Saturdays. You can finish your perfect family day at the Puppet Theatre, which is a lot of fun for both adults and children. 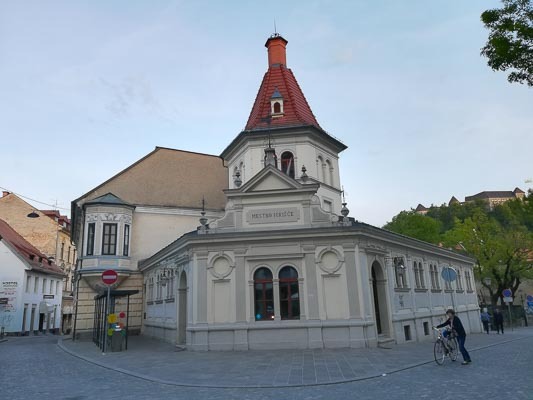 It is located opposite to the castle funicular and facing the city market. 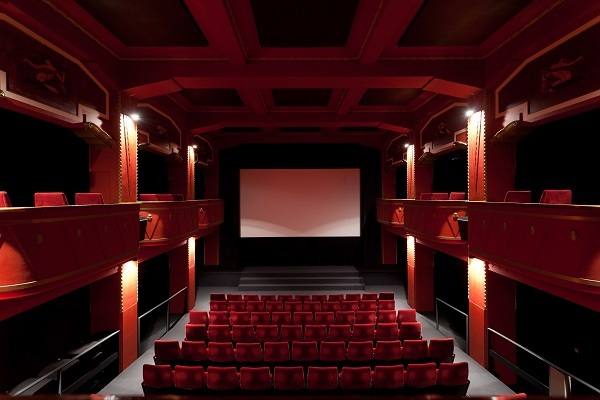 Young children who may be visiting the cinema with their parents for the first time can enjoy carefully selected films of around 45 minutes’ running time with quiet audio and a cozy atmosphere. Kinodvor got awarded for its educational program for children and young people. It seeks to introduce the next generation of cinephiles to the magic of cinema. Their project “Kinobalon” offers a variety of films tailored to suit children of all ages. Their ‘First Timers’ program aimed at children aged 2-3 offers laid-back screenings every Saturday at 10 am from Autumn to early Spring. For parents with children, Kinodvor hosts a weekly breakfast at 11 am on Sundays. Adults enjoy a film from their program, accompanied by a coffee and croissant from the Kinodvor Café, while children escape to their own Kinobalon screening, and are being guarded by professional carers. The pool for bigger children features several other attractions, above all the water jets that can be extremely amusing. 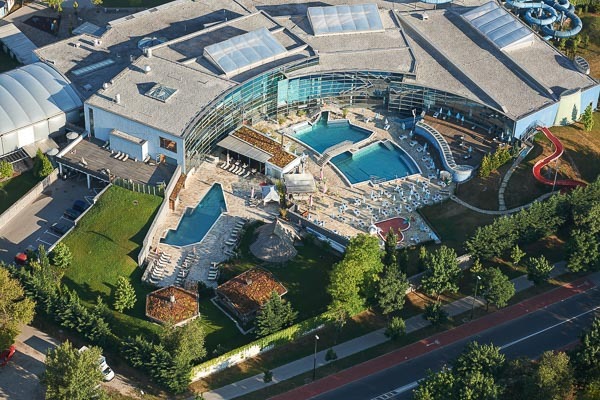 The pools are completely separated so that each age group of children can enjoy themselves without being disturbed. Atlantis Water Park is situated within BTC City, a shopping and entertainment area 5 km North-East of the city centre.